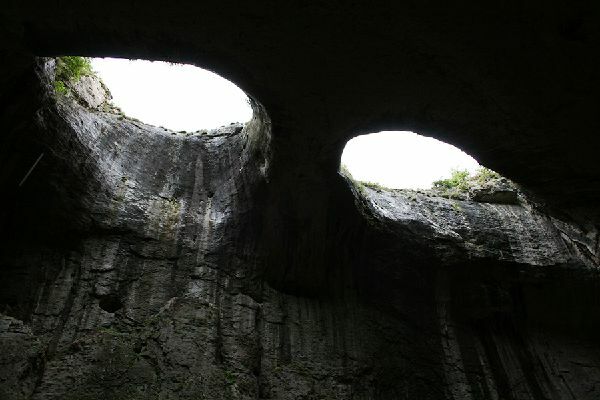 The most attractive landmark is the Prohodna Cave, famous for being the highest natural arch on the Balkans; and, to captivate the mind and heart, the Oknata (The Eyes of God) formation. In the film ‘Time of Violence’, one scene is engraved on my memory: where Priest Aligorko is fervently praying inside a majestic cave, under the light streaming from a pair of eyes above. To my surprise, I discovered that this scene was filmed, not in the Rhodope Mountains, but in the Prohodna Cave, near the village of Karlukovo. The Provartenika (The Pierced Rock or The Clock) is located to the west of the town of Lukovit and north of Karlukovo village. The rock is in the form of a majestic tower that rises above a dozen other smaller formations. The Big Tower has a hole in its top and, during the summer and winter solstices, the rays of the sun pass through it. It is believed that in the remote past the place served as an ancient observatory. The Provartenika is a natural landmark located about a kilometre away from Karlukovo, on the western bank of the Iskar River. It can be reached from both the railway station and the village of Reselets. In its appearance and manner of formation, the Provartenika resembles the Reselets Kukli and the Kupenite rocks. Due to its cracks, the different resistance of the rocks, the influences of natural phenomena and erosion, a wonderful combination of high rock formations has been created, clustered together and standing out prominently against the surrounding landscape. In its topmost section, the Provartenika has a circular opening, from which the rock derives its name. This natural phenomenon is little known, but it is really impressive and deserves the attention of tourists. The Iskar River existed before Stara Planina (Balkan Mountains), and, after the range slowly started to rise, the river began to cut its route through the mountains. 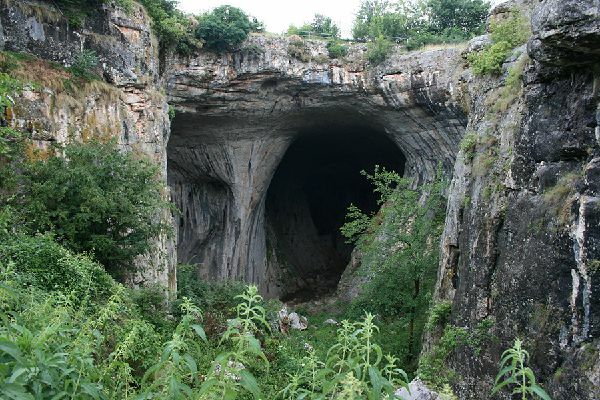 In the Iskar Gorge, there are breathtaking sites for ecotourism: many different rock formations, karst caves and chasms, as well as the Lakatnik rock shapes, Ritlite (The Shafts), and Temna Dupka Cave (The Dark Hole). The most attractive landmark is the Prohodna Cave (The Passage), famous for being the highest natural arch on the Balkans; and, to captivate the mind and heart, the Oknata (The Eyes of God) formation.